Fall is in the air and I am loving all things pumpkin! I have an affinity for pumpkin recipes that call for an entire can of pumpkin. They appeal to my practical side. I don’t love to save a part of a can of pumpkin puree for some undetermined use, one that usually requires that I open another can and then save part of that one, a never ending line of opening and not fully using cans of pumpkin until I throw out 1/4 cup of pumpkin puree in January. This recipe makes three loaves so you can share some pumpkin bread with your friends. I have a neighbor that wraps up breakfast breads and brings them to us occasionally and they are always a welcome treat! Also this recipe lends itself to substitutions. You can use all oil or all butter if you’re low on one. You can use water or milk in place of yogurt. If you’re low on one spice, add more of another or just leave it out. 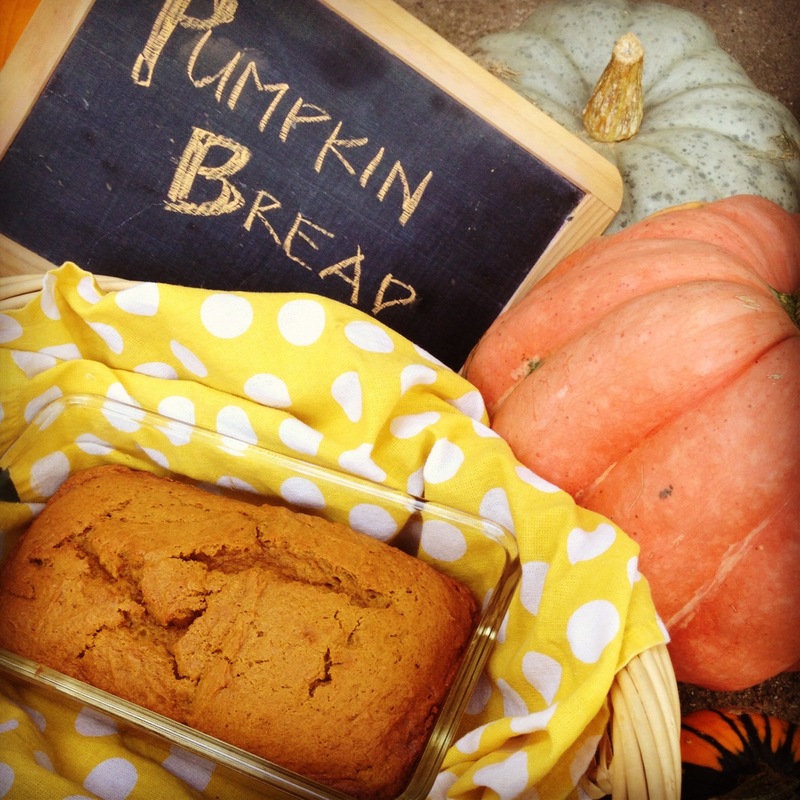 The pumpkin bread will get gobbled up no matter how you make it. Happy Weekend and Happy Fall! Combine pumpkin, melted butter, oil, yogurt eggs, sugar and vanilla. Mix well. In a separate bowl, mix flour, baking soda, salt, cinnamon and pumpkin pie spice. Stir dry ingredients into pumpkin mixture until blended. Pour into three buttered loaf pans. Bake for 35-45 minutes at 350 degrees F (170 degrees C or Gas Mark 4) or until toothpick or fork inserted comes out clean. I made this over the weekend for The Summit Church houseguests and it was yummy. I guessed on the amount of vanilla but what measurement do you use?